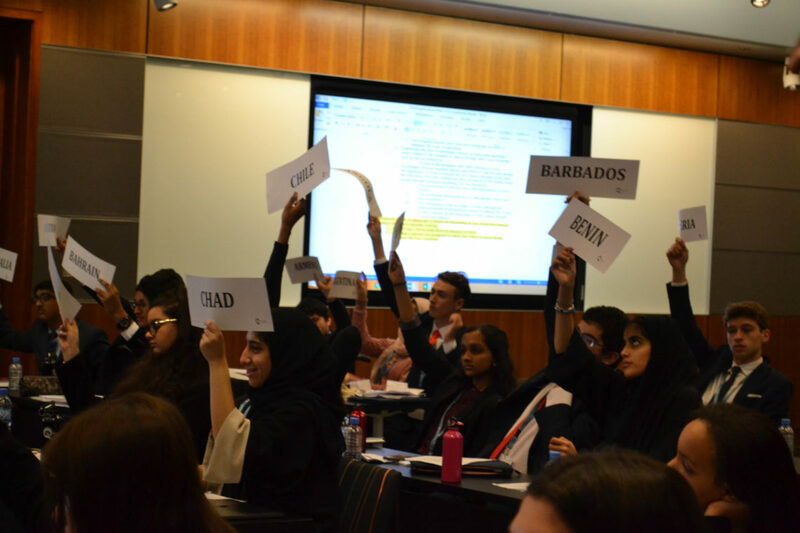 Over the past few years, MUN has grown beyond the confines of an activity that simulates United Nations debate. Our generation has been the leading force behind the change in the definition of MUN to one that includes community outreach. We were able to do this because THIMUN Qatar taught an entire generation to walk and soon after run towards our goal of peace and social justice, because as an organisation, it understands that now more than ever we need to pave the way for humanity to fly. 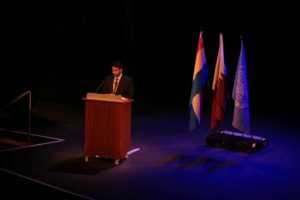 This is what The Hague International Model United Nations Qatar is about, empowering leaders of the future, and I humbly welcome you to its 7th annual conference as the Secretary General and on behalf of the Executive Committee. In MUN, we often overlook or undervalue our successes choosing to shine an unflattering light on the world instead. But 7 years on, I’d like to change this. 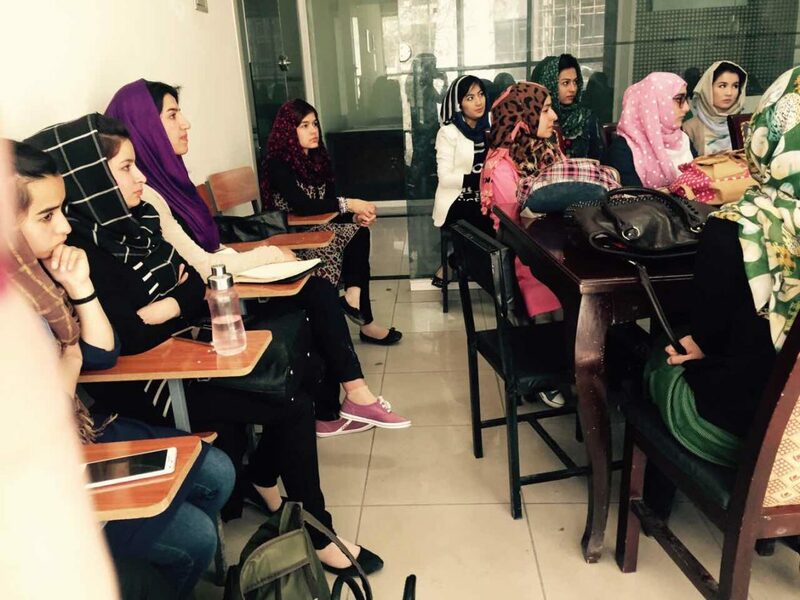 To do this, we don’t have to look further than some delegates sitting in this theatre today – we have planted the seeds to change the future of Afghanistan thanks to a dedicated group of students fighting for their Hope for Education and Leadership in Afghanistan. To do this, we look to the Sustainable Development Goals of today, where in just less than two years, a strong momentum towards gender equality has been achieved. This movement is in part thanks to all of you present today, and for your support towards THIMUN Qatar in organising this conference themed on the Fifth Sustainable Development Goal: Gender Equality and Women Empowerment. Even though the ending of all forms of discrimination against women has not yet been achieved worldwide, we find hope in the small stories to move us in this direction. Stories such as those of a Malawian Chief who annulled 330 child marriages in a country where over 50% of girls are married before the age of 18. Stories from my home country of Sri Lanka, when the government finally said that the Time’s Up after the creation of a Women and Child Abuse Prevention Bureau. These stories are real, these stories are human, and it’s with this in mind that a project like MUN Impact came to be. 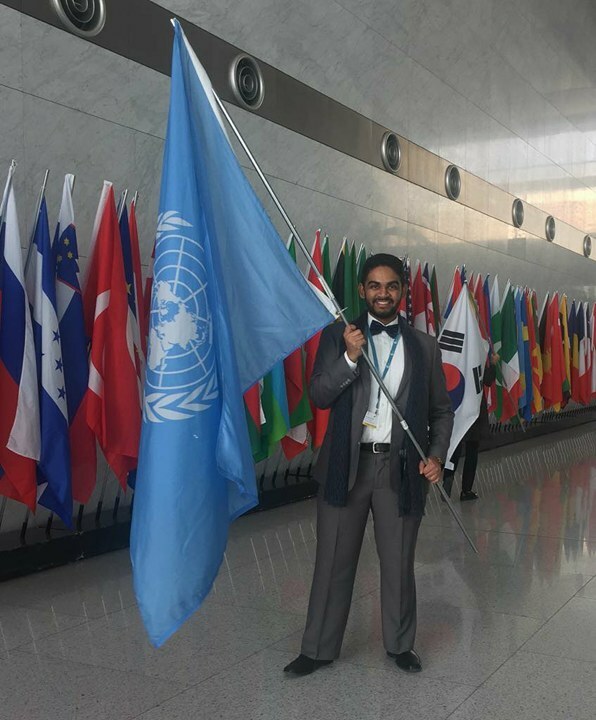 We often talk of students engaging in MUN outside of the classroom, but how do they do this? What does it look like? How can a student possibly make a difference in the world? I urge you all to go to the MUN Impact Zone, the first of its kind for this conference, and speak to students and organisations and witness first-hand what real Impact through MUN looks like. SDG5 is such a vital goal, as we need the full participation of women if we are to achieve the 2030 Agenda. The message we send to boys and girls today is that “men simply are who they are, but women have to construct who they are”. If we are to change this damaging social norm, we, men, also have to be a part of the conversation. We should not be trapped by our own masculinity. It isn’t emasculating to be champions of gender equality if we want all victims of domestic violence to stop questioning themselves “why me” ever again. We run this conference in a background of regional political instability. We are saddened that our friends, long time debate partners, have not been able to come to this conference from the UAE, Saudi Arabia, Bahrain, and Egypt. But do not be mistaken, though some of us have been made silent, our voices have never been louder. 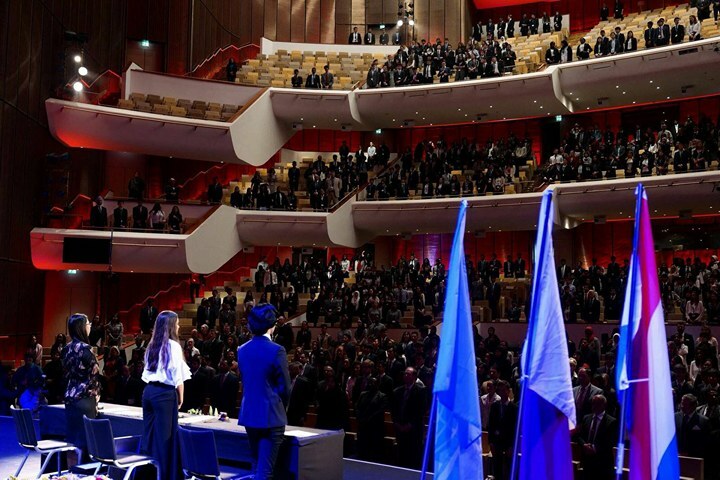 When we can’t debate together physically in one room, we go to Online Model United Nations, a platform that has revolutionized the way we connect and debate. When we can’t listen to stories of impact and hope, we take our conversation to Twitter and Facebook where we can continue to be passionate advocates for the SDG’s. And when we can’t express our own opinions and fight for peace, and love, and hope, we become more united. Everything I’ve mentioned is just a glimpse of what you can find and expect at this conference. Take the time to explore outside of your comfort zone, continue to ask questions and voice your own opinions, but most importantly, make memories that last a lifetime. 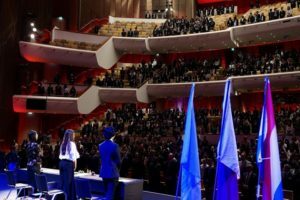 Doing all of this has made my MUN journey so rewarding – so to those I’ve debated alongside with for years or to those I’m yet to meet at this conference, thank you for your support along the way. To my teachers and MUN directors, thank you for making me question the world around me, to my parents you’ve taught me a lot about compassion and perseverance; qualities which are needed in diplomacy today, and to the Executive Committee, thank you for our friendship over the years – Sanskriti for being my debate partner since day 1, Johann for your incredible sense of humour, and Aya for your need to have everything in pink – just to name a few people. And lastly, to Mrs. Martin, as you move on from your position as the Head of THIMUN Qatar this year to seek new adventure, your presence will be greatly missed. Like so many of us, you’ve made me into a “foot soldier of the United Nations”. You are the reason I’m on this stage today. I don’t know what I’d be doing if I didn’t muster up the courage to speak to this tall lady at an MUN conferences years ago. 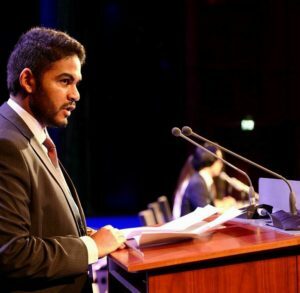 But your vision for the future of MUN, which you’ve laid out for me on Whatsapp at 2am, tells me that we are only going to be working so much more together from now on. And to you all I say have the “audacity of hope”, as Barak Obama said, because you can’t understand the preciousness of hope, the pricelessness of hope until hope doesn’t come. But hope only takes you so far. If we, our generation, want to create this new world, we have to be on the table and not on the menu where others dictate what our future is to be. Dare to dream bigger in the face of adversity. Dare to dream, because now more than ever, we need to pave the way for humanity to fly. My name is Johann Bambino – first name German, last name Italian, born in UAE, raised in Qatar, and yet still an Indian citizen. 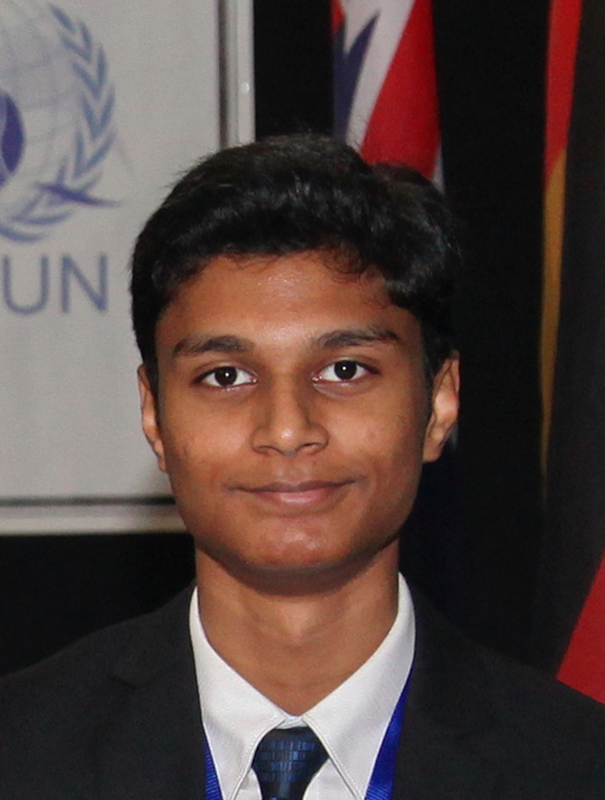 I have been a part of my school’s Model United Nations program for roughly 4 years now, attending more than ten conferences, serving as a delegate, chair, ICJ advocate and even on the executive team of my school’s MUN conference. More recently I have been tasked as a Deputy Secretary General for THIMUN 2018 and I hope that our team can make it an event to remember. 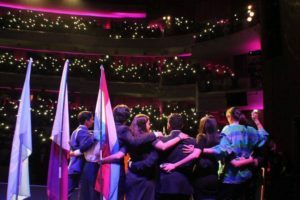 Through the years, like most people, I began to realize the flaws the UN harbors, but still I continue to have hope for the organization even if there are those who have considered it has failed. I think before we proceed with this article, I have to make it abundantly clear that I am a male. Thus, this article should be seen from a male perspective. That does not mean, however, that I am necessarily sexist. Instead I wish to give those who are reading this a chance to consider a new notion: a world free from the superiority of one gender over another. On a superficial level SDG 5 means that we must achieve gender equality, we must remove those roles and stereotypes we commonly associate with a specific gender. Yet, to me this ultimately seems a bit strange as societies and people generally function based on their particular gender and the roles they associate with it. So can gender equality truly be achieved? I think it’s important to achieve gender equality, but I also believe there are certain circumstances which readily prevent men and women from achieving this dream. While to a person like me achieving gender equality is a sensible goal and one worth fighting for, to another person in another part of the world gender equality may not be held in such high regard (and yes there are women who do not wish to be empowered). Hence, on a personal level, SDG 5 is not simply just giving women the same rights as men, but rather convincing entire societies that this is the right thing to do. In my home country, India, the issue of women’s rights is prominent as the diversity in religion and cultural values create disputes regarding the treatment of women. The lack of education on the matter in lesser developed states in India has led many men to ill-treat women and see it as the right thing to do. 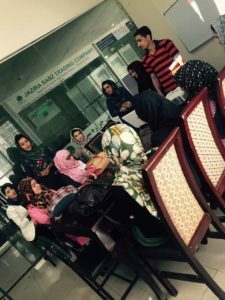 The UN may do all it can to empower women, but without educating the entire world about its goodness, the world will simply remain as it is. 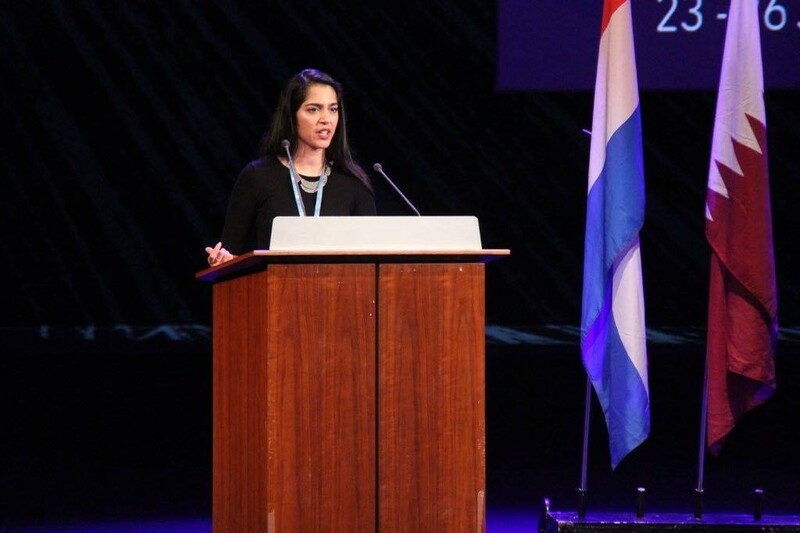 The UN, as well respected as it might be, is led by a generation which grew up, for the most part, in an environment where the thought of women empowerment was still in its infancy. 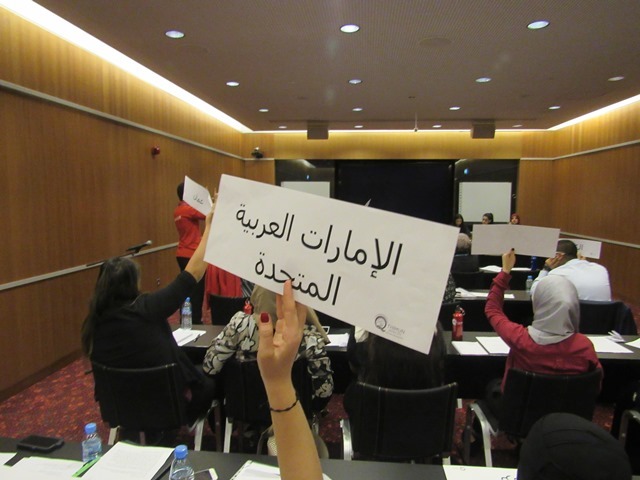 Through Model United Nations we can plant new seeds of thought, to allow our current generation to realize the importance of SDG 5. In the Gettysburg address Lincoln said the US constitution is “dedicated to the proposition that all men are created equal”. Nearly 230 years later and there is not one mention of women on that prestigious document, signed on September 17, 1787. Thus, the barrier which my nation, the United Nations or for that matter, any nation faces is not that people do not wish to change, but rather that we have not done much to allow people to change. 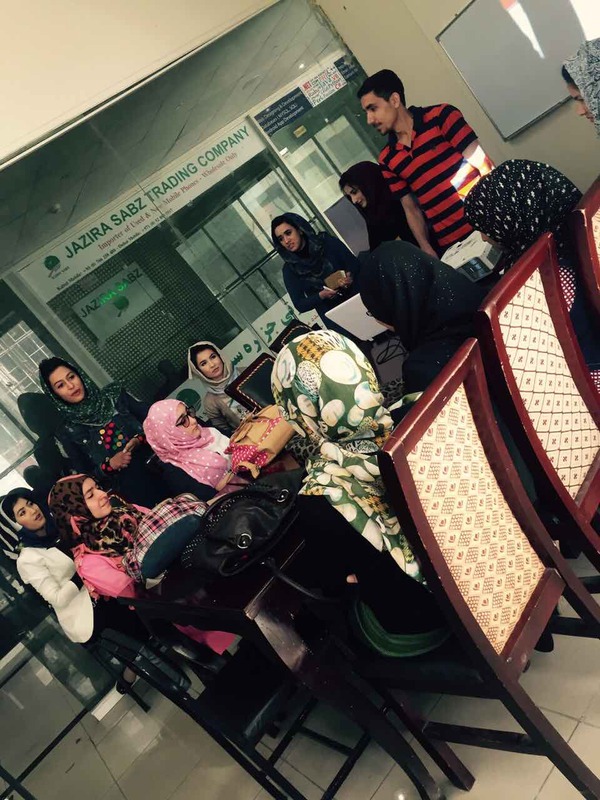 The current generation must be educated on the importance of gender equality through MUN as they are the one who are still changing and learning the how the world works. To ensure SDG 5 is implemented we must become a body which unites both halves of the human race.